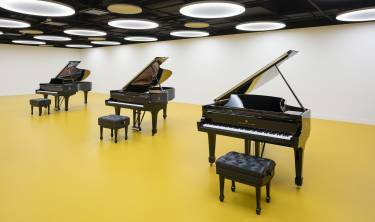 Steinway & Sons was founded in New York City in 1853 and the company has been manufacturing and showcasing pianos in the city ever since. 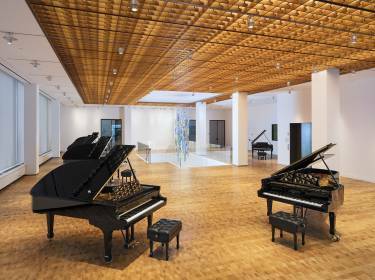 It has a rich architectural history from its large factory in Queens to the Steinway Building on West 57th Street. 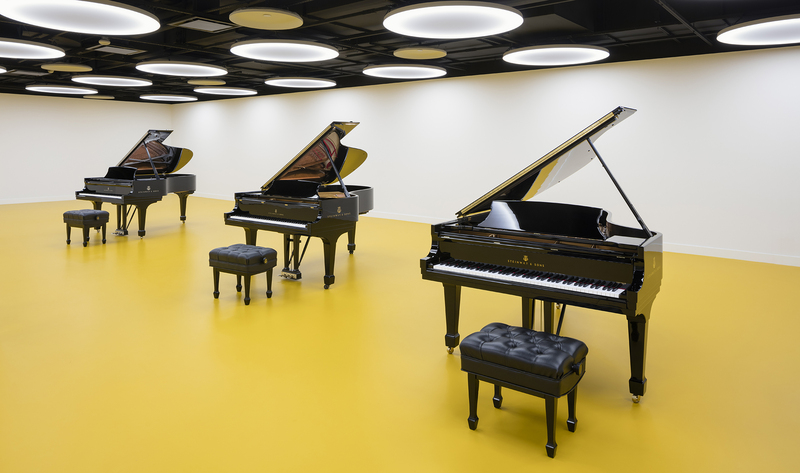 The newest Steinway Hall is prominently located in the base of a modern limestone and steel high rise in midtown on Avenue of the Americas. Affectionately known as the “center of the piano universe” Steinway Hall welcomes music lovers of all types from passionate listeners to professional artists. Inspired by Steinway’s legacy of craftsmanship at the highest level, Selldorf Architects’ design creates a strong contemporary presence for the legendary piano maker. 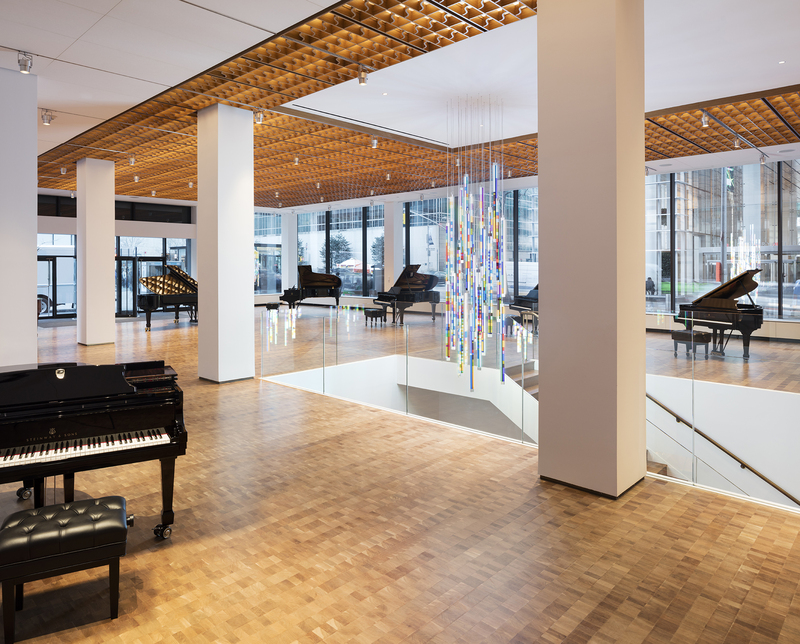 The new Steinway Hall welcomes the public to a large, light-filled showroom with expansive windows at the busy pedestrian street level. 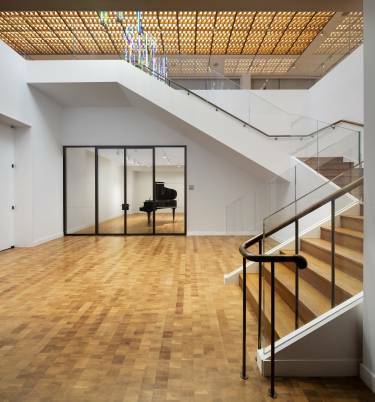 Refined details like oak-end grain floors and a custom bentwood ceiling bring craft and character to the modern space linking it with the company’s history. A focal point of the design is a central open stair that connects the showroom to the level below. 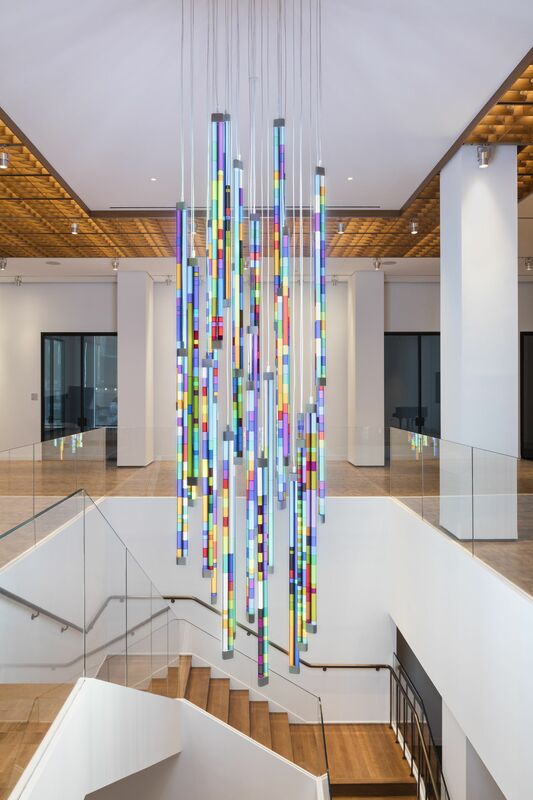 To complement the stair, contemporary artist Spencer Finch has created a hanging light installation inspired by Johann Sebastian Bach’s Goldberg Variations. 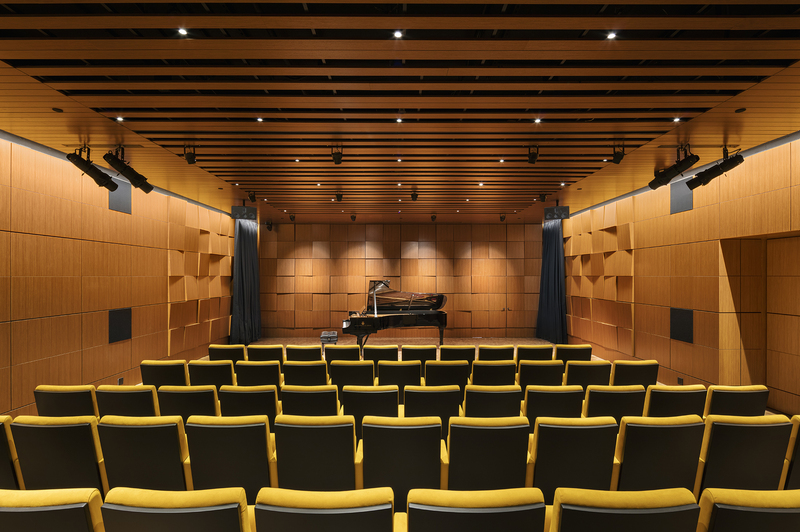 The lower level includes a recital hall, recording studio, and concert artist space. 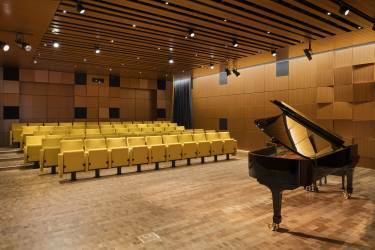 The 72-seat recital hall is an intimate performance venue for public concerts and private recording sessions. 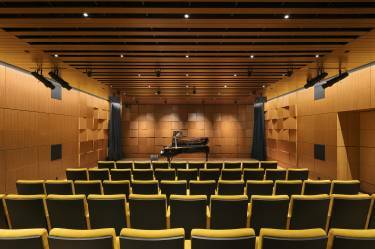 The hall’s tilted wood veneer panels create superb acoustics and bring a sense of warmth and scale to the recital space.